Deep in the Rocky Mountains, a gruesome discovery—hundreds of mummified bodies—stir international attention and fervent controversy. Despite doubts to the bodies’ origins, the local Native American Heritage Commission lays claim to the prehistoric remains, along with the strange artifacts found in the same cavern: gold plates inscribed with an unfathomable script. During a riot at the dig site, an anthropologist dies horribly: burned to ash in a fiery explosion in plain view of television cameras. All evidence points to a radical group of Native Americans, including one agitator, a teenage firebrand who escapes with a vital clue to the murder and calls on the one person who might help: her uncle, Painter Crowe, director of Sigma Force. To protect his niece and uncover the truth, Painter will ignite a war across the nation’s most powerful intelligence agencies. Yet, an even greater threat looms as events in the Rocky Mountains have set in motion a frightening chain reaction, a geological meltdown that threatens the entire western half of the U.S. But can he discover the truth—one that could topple governments—before it destroys all he holds dear? "An amazing amalgam of history, science and adventure….A great page-turner." "A first-class, breathtaking adventure that will have readers whizzing through the pages. The only thing wrong with this tale: it has to end." "Riveting....Rollins gets better with each book, and his position at the top of this particular subgenre remains unshaken." "James Rollins delivers one of the best thrillers of the year in The Devil Colony, an amazing amalgam of history, science and adventure." "From the hidden Indian treasure, to the Fort Knox secrets, to the conspiracy at the beginning of the United States The Devil Colony gives you every reason why you'll want to be a member of Sigma Force." "Terrible secrets, the sweep of history, an epic canvas, breathless action...nobody—and I mean nobody—does this stuff better than Rollins." Q. As a reader, it’s a huge treat to re-connect with the Sigma Force team, all of whom are such beloved characters. As an author, is it a similar experience for you to write about them? Do you feel like you’re visiting with dear friends? Definitely. I’ve been living and breathing these characters for going on a decade. We’ve seen them grow, have children, face the challenge of balancing work with family, and deal with losses. While the Sigma team is chocked full of talented and dedicated people, they are still people with real-life challenges alongside the world-spanning adventures. In this book especially, those two worlds collide in a harrowing manner for one of my characters. To me, that’s what makes these characters feel so alive in my heart. They are not a static team who run into adventure after adventure. Instead, they change, they mature, they get life-altering injuries—and yes, they also die. It’s that fragility, that mortality, that breathes life into a character. Q. I understand you got back recently from the Persian Gulf as part of a USO tour. I did. It was a great honor to be invited to participate in Operation Thriller. I got a chance to visit and thank the wounded warriors at Bethesda and Walter Reed military hospitals—then flew off to Kuwait and Iraq to visit bases throughout the Persian Gulf. I was able to experience a sliver of life out there: from wearing thirty-pound flak jackets while boarding C-130 transport planes to sharing stories with fire-fighting crews, explosive ordnance disposal units, and the teams that control unpiloted drones. And so much more. It was a life-altering experience, one I will cherish always. Q. In THE DEVIL COLONY you have created one of your most complex and depraved villains to date. He has a unique disease that almost makes him a scientific exploration himself. Where did his character stem from? Rafael Saint Germaine came about because this story centers on old family secrets—and by old, I mean a family that can trace its roots to the Middle Ages. And in such aristocratic families—whose lineages are tightly bred—it is not uncommon to see genetic abnormalities crop up among their offspring: hemophilia, cystic fibrosis, and other congenital and birth defects. Rafael suffers from osteogenesis imperfecta, also known as brittle bone disease, which a defect in collagen production, leaving him thin-boned and prone to fractures. I wanted a character who compensates for his physical weakness by honing a sharp and cunning mind, one who can match wits with the best of the book’s heroes. In the end, he is one of the most challenging villains of any of my books. Q. THE DEVIL COLONY explores the surreptitious link between the Book of Mormon, the lost tribes of Israel and Native Americans and how those three groups tie to the founding of America. What was the starting point of this high-concept plot? It started with an argument. I have several friends who are Mormons, and at a dinner, I overheard a heated discussion among them about a controversial and contested section of the Book of Mormon: specifically that the Native Americans are said to be descendants from one of the ten lost tribes of Israel. While on face value this seems like a wild claim, and genetics certainly seems to dismiss this possibility, I was intrigued—and it started a yearlong investigation into Native American history, Jewish lore, and the early founding of America. To my total surprise, gathering information from disparate sources, pieces began to fall together in a most startling fashion. Why hadn’t anyone put these pieces together before? Not only were these resources valid and the facts gathered backed by solid research, but they came together so perfectly that the picture that finally came to light had to be true—astoundingly and disturbingly true. It alters all we understand about American history. I knew I had to tell this story. Q. THE DEVIL COLONY is filled with information about the Book of Mormon; how did you research this topic and what drew you to this sometimes mysterious religion? I’ve always been fascinated with those moments in time where religion and history merge, where mankind’s path makes sudden turns. Being raised Roman Catholic, I was not that familiar with Mormonism, but a part of me always wanted to learn more. When I heard that dinnertime argument among a few of my Mormon friends, I knew this was a chance to educate myself and to begin an investigation that would lead me to such startling conclusions. I interviewed both devote Mormon and those who had abandoned the faith. I read articles by Mormon apologists and non-Mormon historians and geneticists. It’s been a fascinating journey—and I believe that what I learned will shock many readers. Q. There are some pretty fantastic settings in THE DEVIL COLONY, all pretty much right here in the good ol’ US of A. Was it nice to be able to set a book mainly in America? Were you able to visit the stunning locations in the book, such as the Arizona desert and the Rocky Mountains? I had a great fun researching this novel set in my own backyard (so to speak). For the past decade, I’ve been fielding questions from readers about setting a Sigma novel within the United States. But I knew it had to be the perfect story, a novel thrilling enough to justify coming home. I’ve been searching for that story for about five years, and when I finally discovered it, the book still took me a full two years to write. It’s one of the biggest and most shocking of my novels. It took me trekking across the country and back, from Washington, D.C. and Fort Knox out east, to Salt Lake City and Yellowstone National Park out west. I interviewed Mormon scholars, read scientific and historical abstract, and studied ancient petroglyphs. It is a story never told—but one that needs to be finally revealed after two hundred years of secrets. Q. Thomas Jefferson—while he never appears in this story—plays a significant role. Why Thomas Jefferson? What intrigues you about him? Everyone knows Thomas Jefferson as the architect of the Declaration of Independence. Volumes have been written about the man over the past two centuries, but of all the founding fathers of America, he remains to this day wrapped in mystery and contradictions. He was both politician and scientist. For instance, it was only in 2007 that a coded letter, buried in his papers, was finally cracked and deciphered. It was sent to Jefferson in 1801 by a colleague who shared a passion for secret codes. Jefferson was fascinated to the point of fixation on Native American culture and history. At his home in Monticello, he put together a collection of tribal artifacts that was said to rival museums of the day (a collection that mysteriously disappeared after his death). Many of these Indian relics were sent to him by Lewis and Clark during their famed expedition across America. But what many don’t know is that Jefferson sent a secret message to Congress in 1803 concerning Lewis and Clark’s expedition. It revealed the true hidden purpose behind the journey across the West. In The Devil Colony, you’ll learn that purpose—and so much more about the founding of America. And it has nothing to do with freemasons, Knights Templar, or crackpot theories. The truth is as illuminating as it is disturbing. Q. What in your SIGMA Force novels do you think has the deepest resonance with readers: the cutting edge scientific details, the breakneck adventure, or the threads of modern and ancient faith and/or spiritual beliefs woven throughout? I hope all three. History raises many unanswered mysteries, questions into where we came from, who we are as a people. Science offers a peek at who we will become, where mankind will move next, and the dangers inherent in that venture. I love to merge the two together in a great adventure, to take readers on a journey that’s as much inward as it is a wild and exciting thrill ride. A reviewer once wrote that I “don’t write novels, so much as build roller coasters.” I certainly hope that’s true. 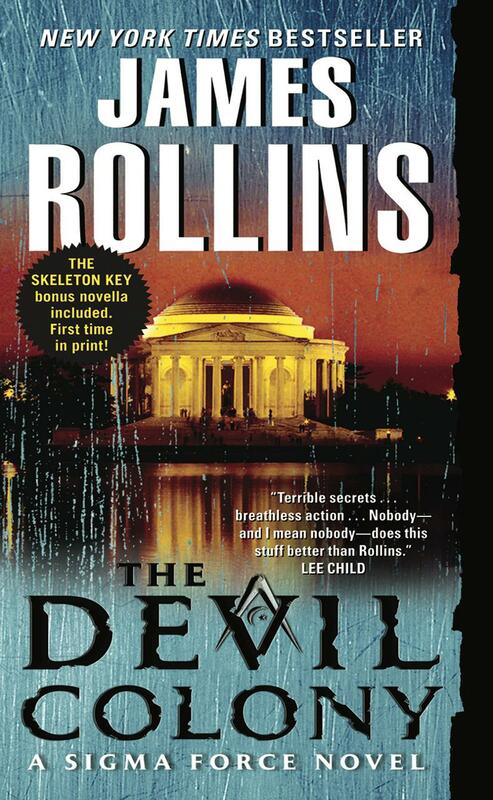 Q. What’s next for James Rollins? I’m currently working on the third book in my middle-school series, featuring boy-explorer, Jake Ransom, and of course, the next Sigma novel, which picks up right after this novel’s shocking ending. And if that’s not enough, I’m also finishing up a brand-new secret project, the first of a trilogy. So there is much more mayhem to come! Q. Your books often include high-concept scientific theory. While not wanting to spill any secrets about the plot of THE DEVIL COLONY, what are some of the breaking-news scientific concepts laced through the pages of this book? 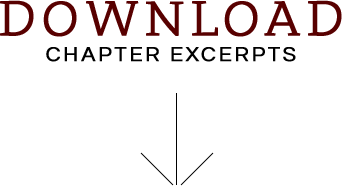 The science in this novel addresses the next big leap in scientific research and industry. It can be summarized in one word: Nanotechnology. In a nutshell, it means manufacturing at the atomic level, at a level of one billionth of a meter. The nanotech industry is exploding. It is estimated that this year alone $70 billion worth of nanotech products will be sold in the U.S. alone: toothpaste, sunscreen, cake icing, teething rings, running socks, cosmetics, and medicines. What’s the downside of such a growth industry? These nanoparticles can cause illness, even death. UCLA scientists have found that nano-titantium oxide (found in children’s sunscreens) can trigger damage to animals at the genetic level. Carbon nanotubes (found in thousands of everyday products) have been shown to accumulate in lungs and brains of rats. Also weird and unexpected things happen at this small level. Take aluminum foil. It’s harmless enough and convenient for wrapping up leftovers, but break it down into nanoparticles, and it becomes explosive. It’s a new and wild frontier. There is presently no requirement for the labeling of nano-goods, no required safety studies of products containing nanoparticles. But there’s an even darker side to this industry. This technology has a history that goes back further than the twentieth century—much further. The Devil Colony explores those dark roots of this “new” science. Was America Founded on a Lie? 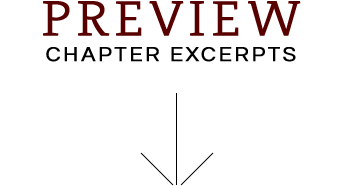 Fill out the form below to create a review for the-devil-colony-a-sigma-force-novel. Your review will have to be approved first before it will show up on the site.